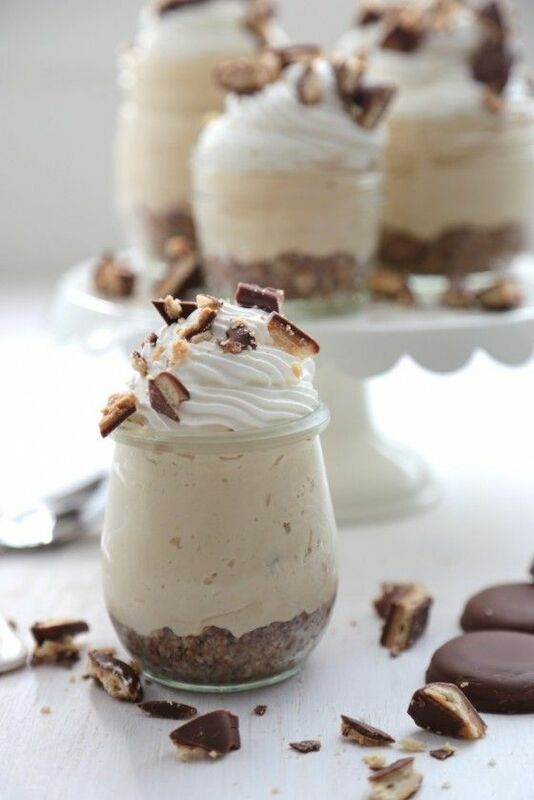 Have these no bake cheesecakes ready for a party! Or a hot day. Or any reason. 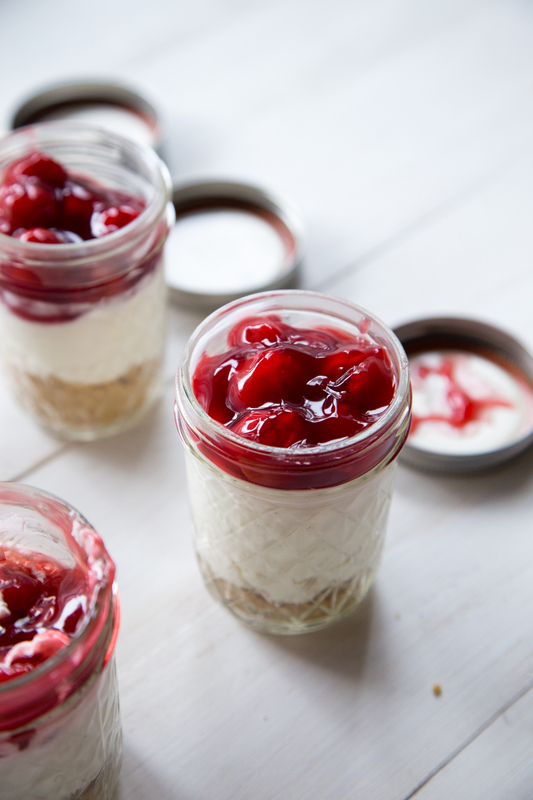 These no bake cheesecake in a jar are the perfect picnic or backyard BBQ dessert. Make them ahead of time and serve. 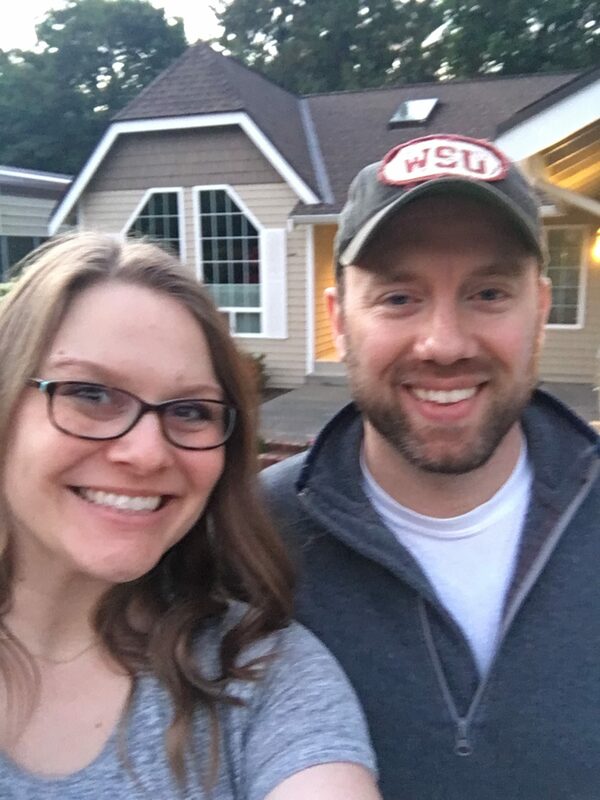 WE ARE MOVED INTO OUR NEW HOUSE! I would shout this from the roof tops, but caps lock will have to do. All in all the move went really smoothly. My measure of success was that I didn’t have a hormonal meltdown midway through it, or end up in the fetal position hiding in a corner. It’s a low bar I set for myself, but I hopped right over it with room to spare. Hiring movers was the single best thing I could have done. Worth every penny. And then having your mom on hand to bring over a Costco platter of cookies and your uncle bring over two Costco pizzas didn’t hurt either. Being overwhelmed with where to start the unpacking, my mom took over the unpacking of the dining room and kitchen. I stood in the middle of the kitchen completely stumped on where to start. My mom, being the go getter she is, rolled up her sleeves and tackled it. Huck was quite the helper, playing the role of the yellow rug. Or, is that moral support? 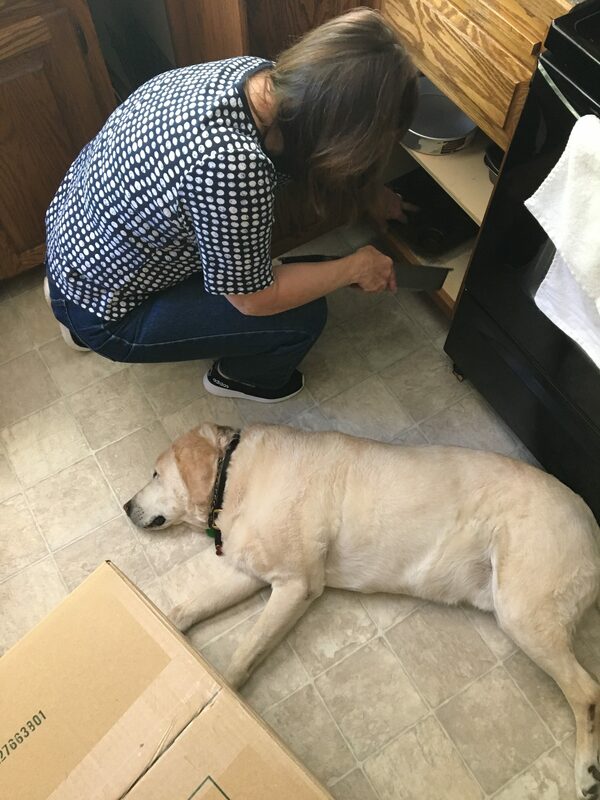 Any time I touched something she was quick to follow behind me and “fix” it. It was the mom equivalent of Ben rearranging the dishwasher after I have already loaded it. Under any other circumstance it might have irritated me, but in the end, everything ended up neatly stacked, lined up, and organized just like it should be. It was perfect. And she made sure to tell me to call her if I couldn’t find anything. So far, that hasn’t needed to happen. My kitchen and dining room officially look staged like an HGTV show. 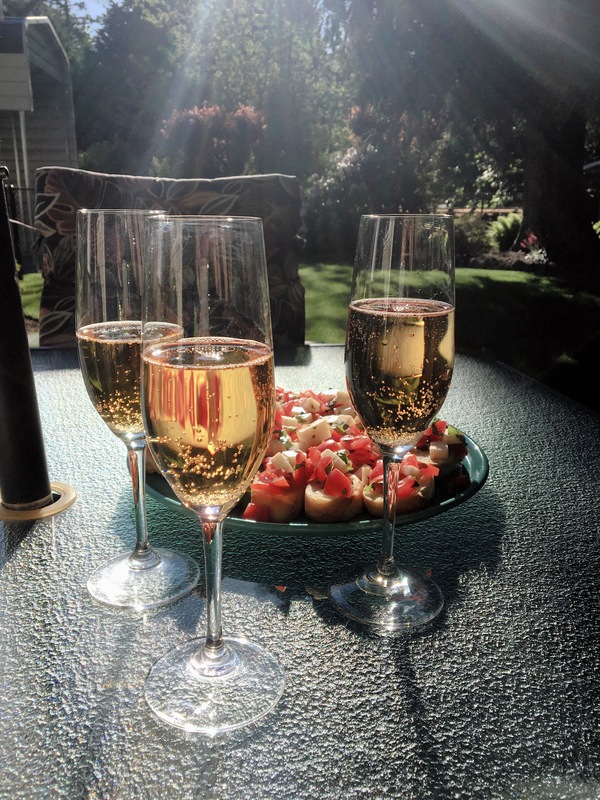 And for our first night in the house, we got to eat out on the patio and enjoy the serenity and peace of it all. Though I promised not to do any heavy lifting, I did, though I stayed within my limits and knew when to take a break. There were plenty of watch hawks making sure I stayed good. And Chip was a champ through it all. So here we are starting week 22 with the tiny tot in tow and we are now in our new home. I tried not to let hormones overwhelm me, but this is the home we will be bringing him home too, and that is a very special thing. 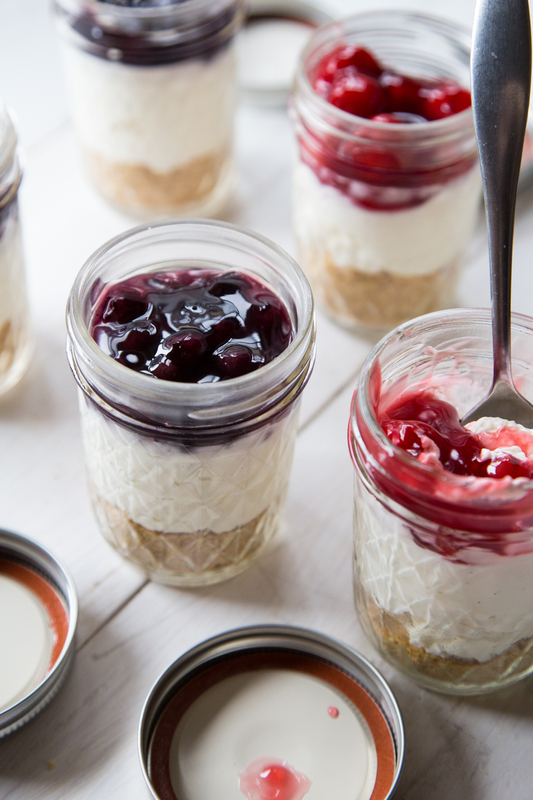 If you are gearing up for the holiday BBQ and picnic season, bring these little no bake cheesecakes along. 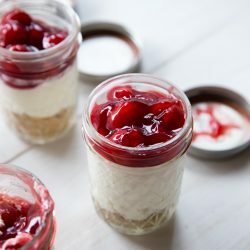 After I found all of the mason jars that my mom so expertly hid from me, I could make these with the few remaining ingredients that I had left over to bring the new house. 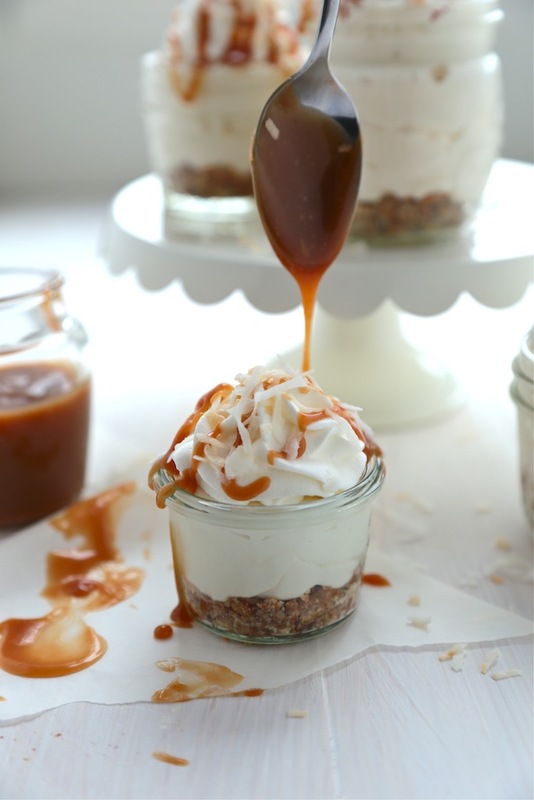 A little whipping cream, cream cheese and pie filling. BAM! These take minutes to prepare and are ready to go whenever you need them. I am a firm believer in keeping these prepped when you have guests over. Less fuss and more fun. 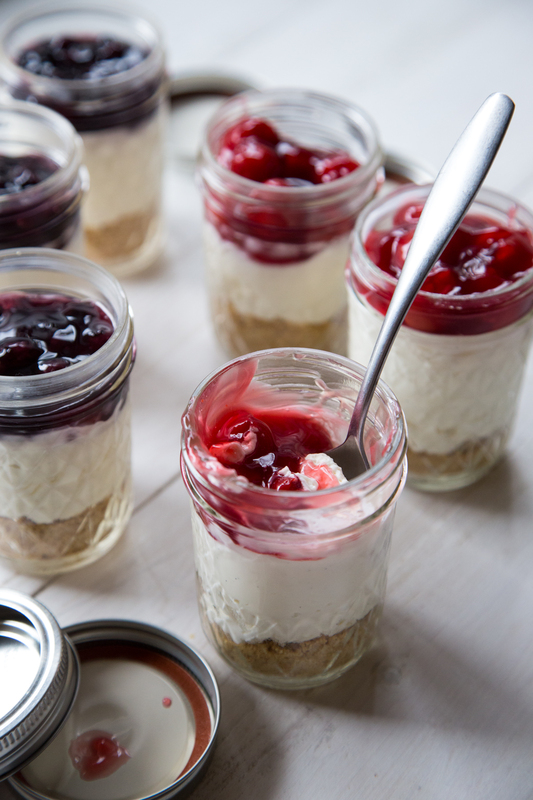 Try some of the other no bake cheesecakes we have made for the blog! Mix melted butter and graham crackers together. 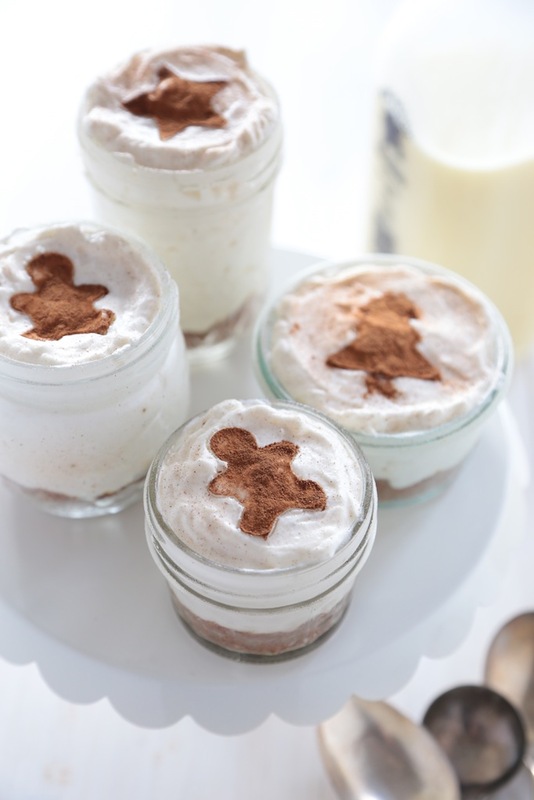 Spoon into the bottom of mason jars and gently pack down in the bottom of the jars. In a medium mixing bowl, whip heavy whipping cream until stiff peaks form. Set aside. In another medium mixing bowl, beat cream cheese until smooth. Scrape down bowl if necessary. Mix in the sugar, and vanilla extract. Fold in the whipped cream with the cream cheese mixture. 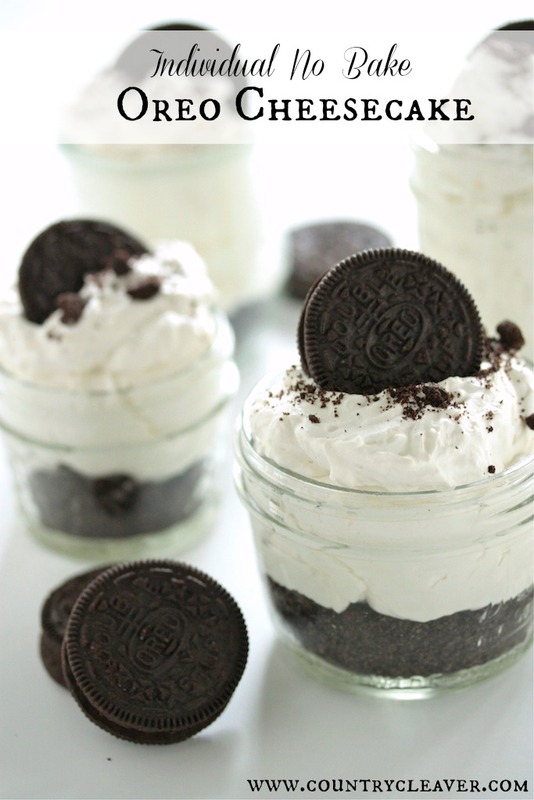 Divide evenly between mason jars and smooth the tops. Top with pie filling of your choice. 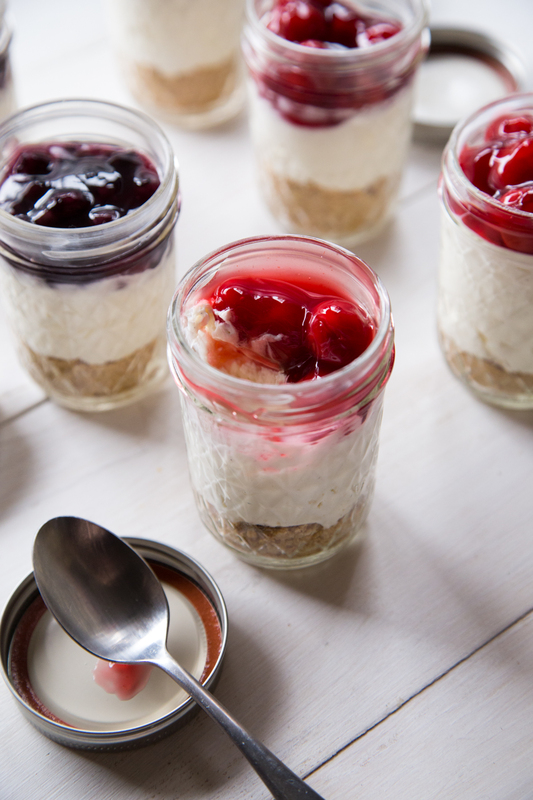 Top the mason jars with lids and chill for two hours in the fridge. Serve.